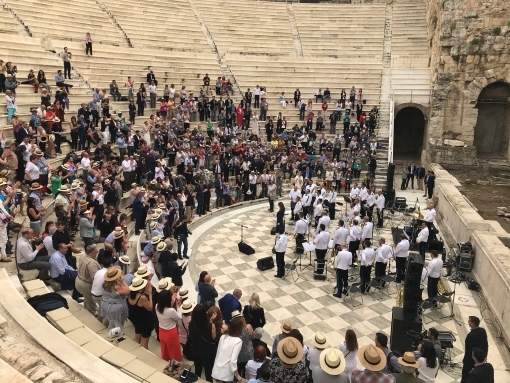 ASTA Destination EXPO 2018 is expected to have a substantial contribution to the attraction of tourists and investment from the United States to Greece in coming years, thanks to this historic event currently taking place in Athens. Keynote speakers from both Greece and the United States voiced this forecast at the event's opening ceremony which was held this morning at the Herodes Atticus Odeon, before dozens of US tour operators who take part in the ASTA conference as well as representatives the Greek Tourism Ministry, the Greek National Tourism Organization, the Federation of Greek Travel and Tourism Associations FedHATTA, local travel agents and eminent personalities of Greek tourism. Greek Minister of Tourism Elena Kountoura, opened the ceremony, referring to the great opportunity offered by the conference to further promote Greek tourism in order to raise the numbers of American visitors to more than the current 1 million visitors per year benchmark. 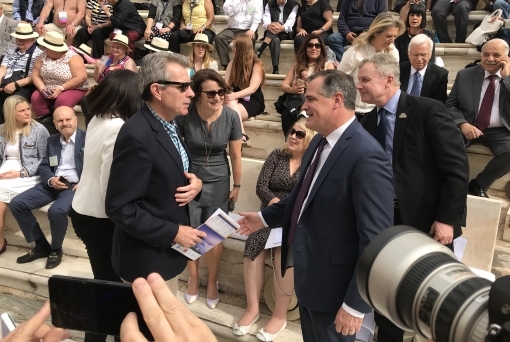 The US ambassador to Greece Geoffrey Pyatt stressed on his part that American tourists are particularly interested in traveling to Greece with a focus on culture and that there are still many destinations in the country, beyond Mykonos and Santorini, that remain unknown to them, but are of great tourist interest. He stressed that the most fascinating feature of Greece is the combination of its natural landscapes, people, gastronomy and its culture and that it is also one of the safest destinations in the world. Our goal, he said, is to increase investment and tourism from the United States as relations between Greece and the US are at their best. In addition, he said, the United States will be the Honored Country in Thessaloniki International Fair 2018. 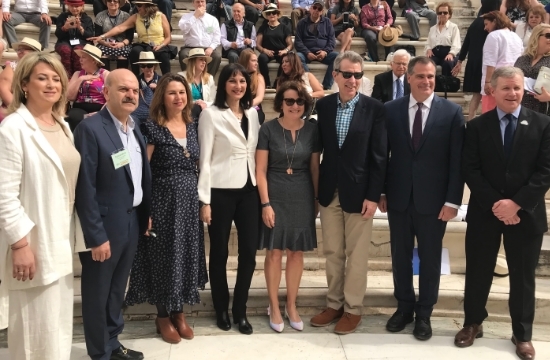 The importance of the ASTA conference on the relations between Greek and American tourism professionals was highlighted by ASTA's chairman Jay M. Ellenby. 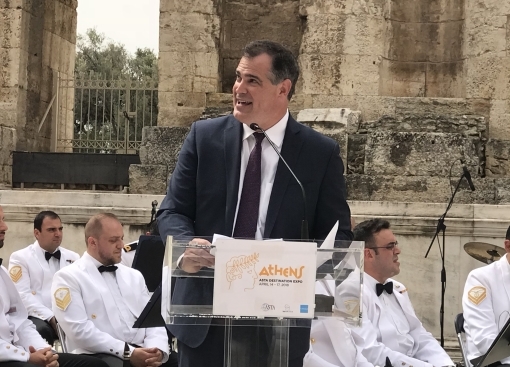 Mr. Ellenby lauded Greece and its culture before the US travel agents, noting that the country is incomparable to any other destination in the world, where ASTA Destination EXPO events took place. He said that this conference would be the ideal opportunity for US tour operators to get to know Greece with the assistance of local tourism specialists. Indicatively, 98% of US delegates intend to use the business contacts they will develop in Greece, while more than 77% believe they will "sell" Greece due to their personal experience, on the occasion of the conference. ASTA President Zane Kerby, said the conference was aimed at bringing together the tourism professionals of the two countries and enhance trust among them. He expressed the view that as a result of the conference, tourist flows from the United States will increase in the coming years. 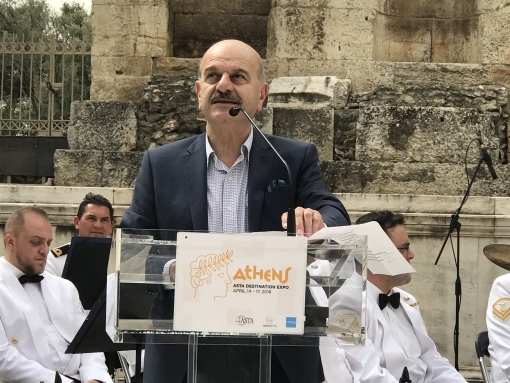 FedHATTA President Lysandros Tsilidis, welcomed the US tour operators to Greece, underlining that the Greek side aims to present to them the opportunities that Greece offers as a tourist destination, to discover the special needs of the customers and to build strong relationships between professionals in Greece and the USA.